Copper Johnny Provincial Park was established as a result of the Cariboo-Chilcotin Land-Use Plan Goal 2 (Special Feature) process. It encompasses a diverse wetland complex, glacial features (eskers), pothole and alkali lakes and grasslands. A number of bird species abound in the wetland areas, along with moose, beavers, and deer. Forest cover is consistently fir and pine, with spruce located in wetland and low areas. The eskers provide excellent viewing opportunities into the wetland areas, which are rich in bird and mammal life. 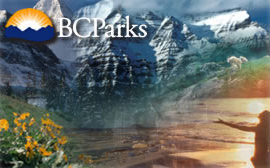 The park is located approximately 43 kilometres southwest of 100 Mile House.